Any remaining funds are used to purchase gifts for children in our community. Over the past years these have included winter coats, boots, and gloves. Special needs items for children with special needs. 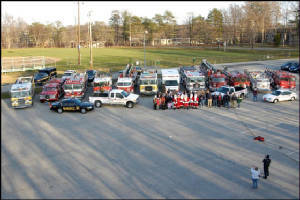 Each year the Annapolis Santa Run collects new unused toys to give to area families in need. The run is sponored by Annapolis Firefighters local 1926. It is with the cooperation of local firefighters and community members volunteering their time that make this an Annapolis area tradition.